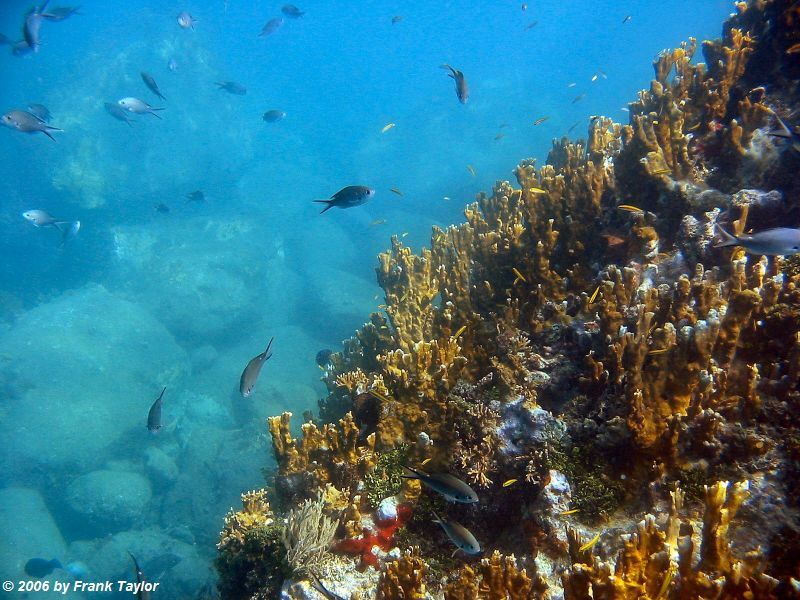 The importance of coral reefs to our world's ecosystem is not understood well by the majority of the population. However, more people should become aware because these vital elements to the ecosystem are in serious trouble. The National Oceanic & Atmospheric Administration (NOAA) is well aware of the importance of Coral Reefs and their dire straights and has an excellent web site called NOAA's Coral Reef Watch to provide tools to the public for tracking near-real-time data important to the environment of coral reefs. 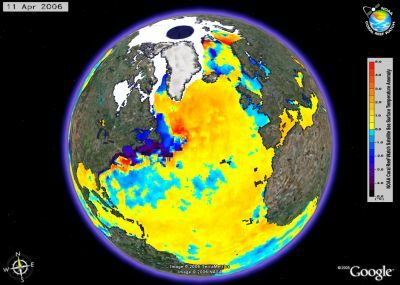 NOAA's Coral Reef Watch recently released some Google Earth files for monitoring current and annual sea surface temperatures, anomalies, hotspots, and other data around the world. After I contacted them, they changed the files to network links so you can automatically have updates to the current information. By the way, the photo here is of a beautiful coral reef I saw while snorkeling near St. Barts in the Caribbean - January 2003. You can see some other underwater photos I've taken. I write from Spain. I have a blog of Bioinformatic and I like write about the applications of Google Earth in the Science world. I wrote in my blog in february about aviar flu with GE and Damocles Project. Now I will write about coral reefs with Google Earth in my blog. Thanks you for your contribution. P.S Very beautiful the other underwater photos. Thanks for your interest in our new Google Earth data delivery. We look forward to any suggestions that you or your readers may have. Please send comments to coralreefwatch@noaa.gov.